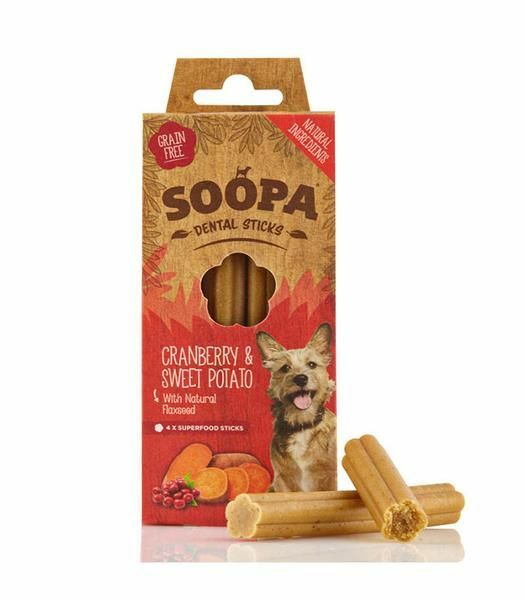 Soopa Dental Sticks are hypoallergenic grain free treats for the pet that loves to chew. 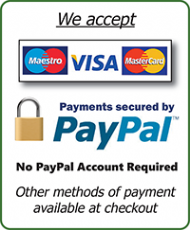 Made using natural human grade ingredients. They can help clean teeth and improve doggie breath. These sticks are bursting with vitamins & minerals and health benefits. Cranberry is packed with anti-oxidants, fibre and Vitamin C which research shows maybe beneficial for dental health, bad breath and immune support. Cranberry is excellent for dogs who are prone to urinary tract infections. Flaxseed is a sensational superfood for dogs and may protect against digestive problems helping to keep your dog healthy and happy. Simple, delicious, nutritious & best of all dogs love them!